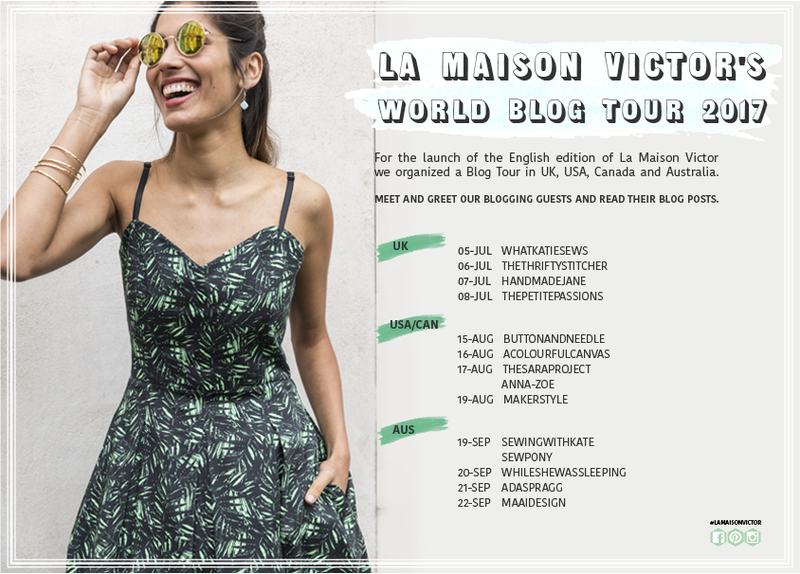 Today I am taking part in the La Maison Victor world tour! La Maison Victor are a Belgian based pattern magazine that offer patterns for women, men and children in each issue. Last month marked the launch of the English translation of their magazine. Up until now, the magazines were available only in Dutch. Isabelle, the founder of La Maison Victor, emailed me a couple of months ago asking if I would be interested in taking part in a tour to promote this event. I jumped at the chance! The magazine is amazing value with 8 patterns included as well as other eye candy, for only around $11AUD. Crazy huh? The magazine will be available in many newsagents from this Thursday 21st September. On this date, you can enter the search term 'La Maison Victor' into this site and it will list all the stockists of the magazine. If you can't wait, you can purchase the pattern online HERE. 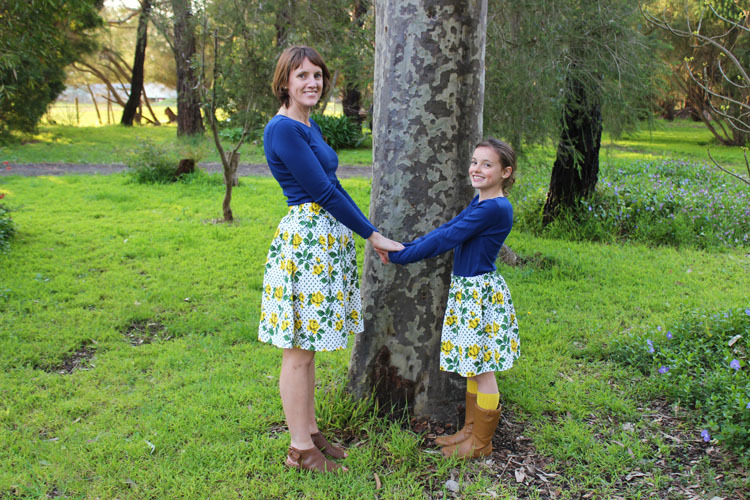 I am excited to share two skirts I made using the Dalores pattern. 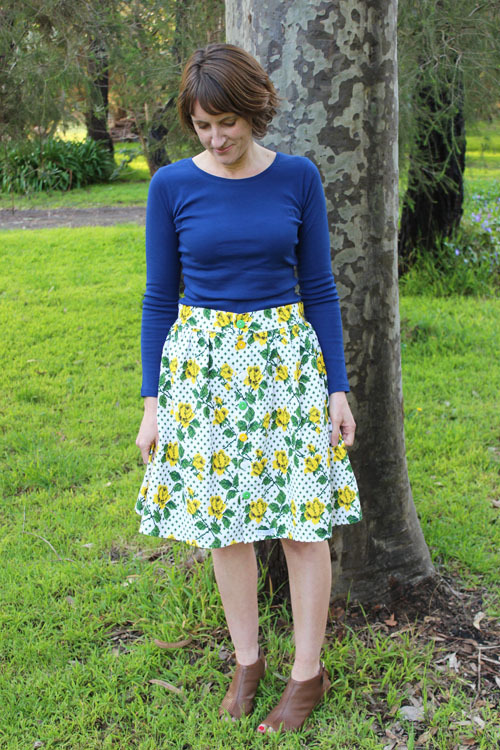 The Dalores skirt is a quite a simple design - featuring a gathered skirt sewn into a flat waistband with buttons down the front and optional side seam pockets. The result is a beautiful skirt that I think is also flattering. 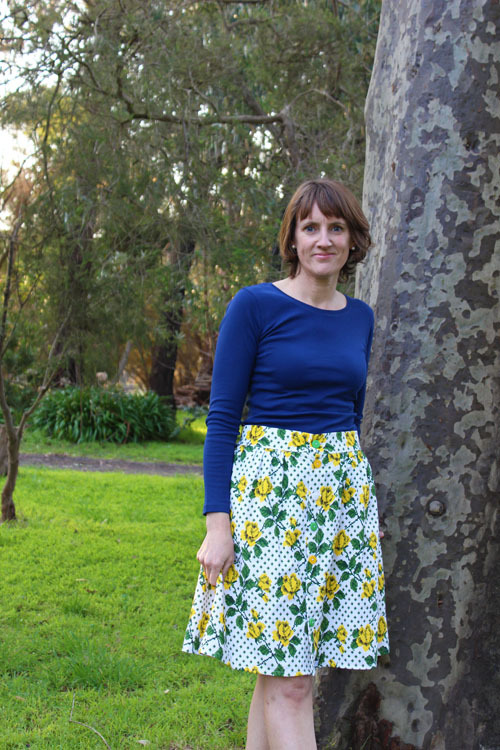 The big bonus is that this skirt is really quite quick to make! the most time consuming part is sewing the buttonholes and buttons on. My skirt appears quite a lot shorter than the photographs in the magazine. The model in the magazine wears the Dolores skirt and it sits mid calf. I (thought I) sewed the longest length and you can see that my skirt sits just below the knee. 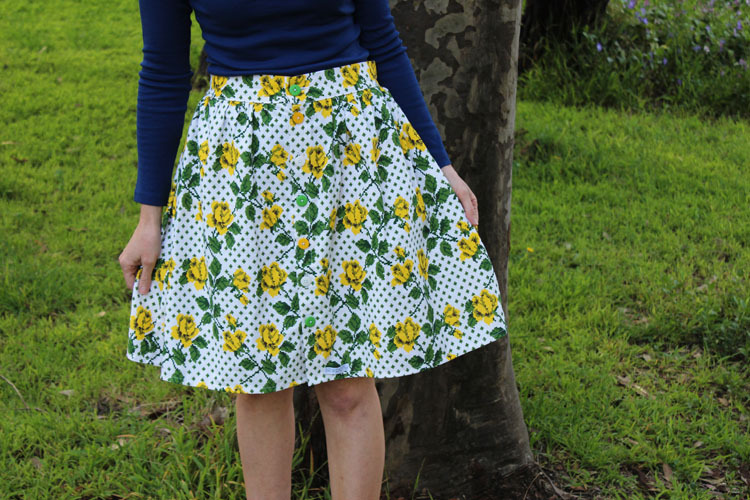 Please read about my sewing faux pas in this post where it is much more obvious! 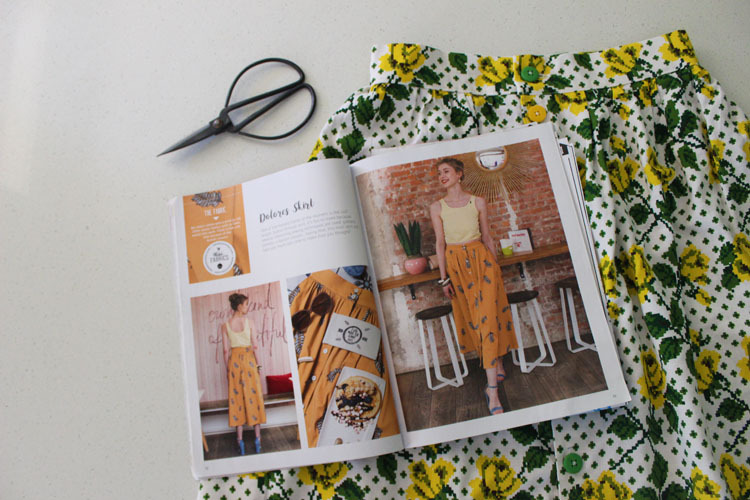 Seam allowances need to be added to all patterns in La Maison Victor, which is common of other pattern magazines such as Ottobre. This is no problem for me, but I must remember to note this on the patterns I trace - ie. whether or not I need to still add SA when cutting from my fabric. My dress is made from a thrifted piece of cotton linen - not dissimilar to a tablecloth, I think! The fabric really suits this style of high waisted skirt. I didn't have enough buttons in my stash of one colour. So I was a bit creative with my button selection and included buttons in the colour of the skirt - yellow, green and white. I think it works well and adds a bit of quirkiness to the skirt. 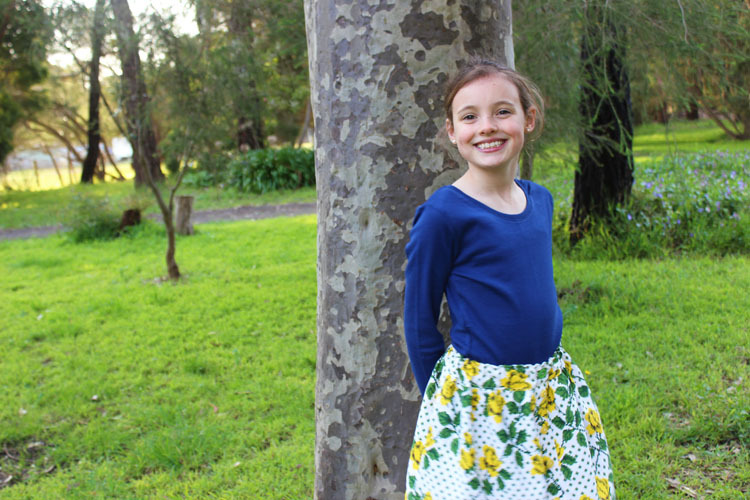 I was so pleased to have enough of the vintage fabric to make a quick mock up Dalores skirt for Isabella! Twinning is winning, right? We think so! Thank you so much La Maison Victor for having me! 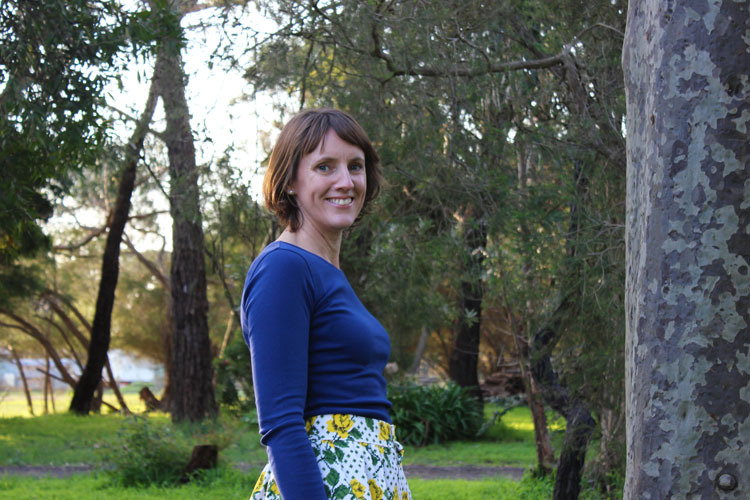 I am already planning my next (full length) Dalores skirt! Make sure to check out the other bloggers on the tour to see some of the other makes and you can also follow La Maison Victor on Instagram for more inspiration! Twinning is winning for sure! Love this length of the skirt Suz. I contemplated shortening it so I am glad to see you have done it. Even if it is was somewhat unintentional, the result is beautiful. Thanks a lot Jenya! I like this length a lot! 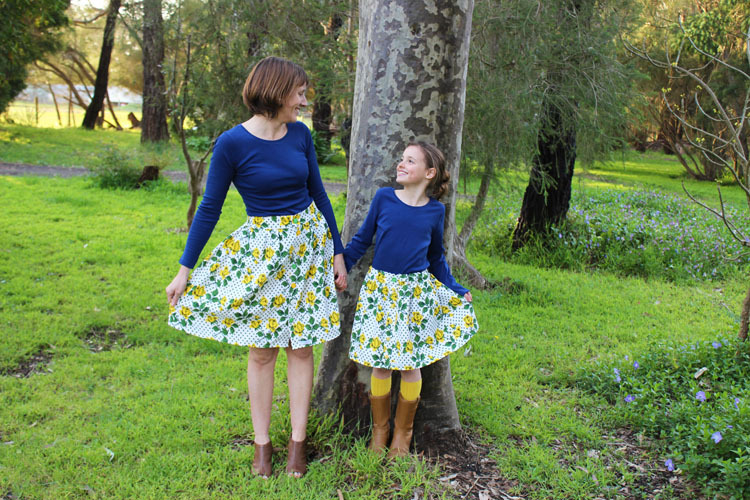 I love the beautiful vintage fabric you chose for your twinning outfits! The skirt looks perfect on you at that length. And those buttons are really cute!